Astronomers have spotted five monster black holes previously hidden by dust and gas in space and they suggests that there might be millions more of them lurking around our universe. By using NASA’s NuSTAR, a team of scientists have detected high-energy X-rays from five monster black holes which were obscured by cosmic dust and gas, hidden from view from most other telescopes. The team pointed NuSTAR satellite observatory at a collection of nine potential hidden supermassive black holes that are thought to be “extremely active” at galaxies’s center but largely obscured. 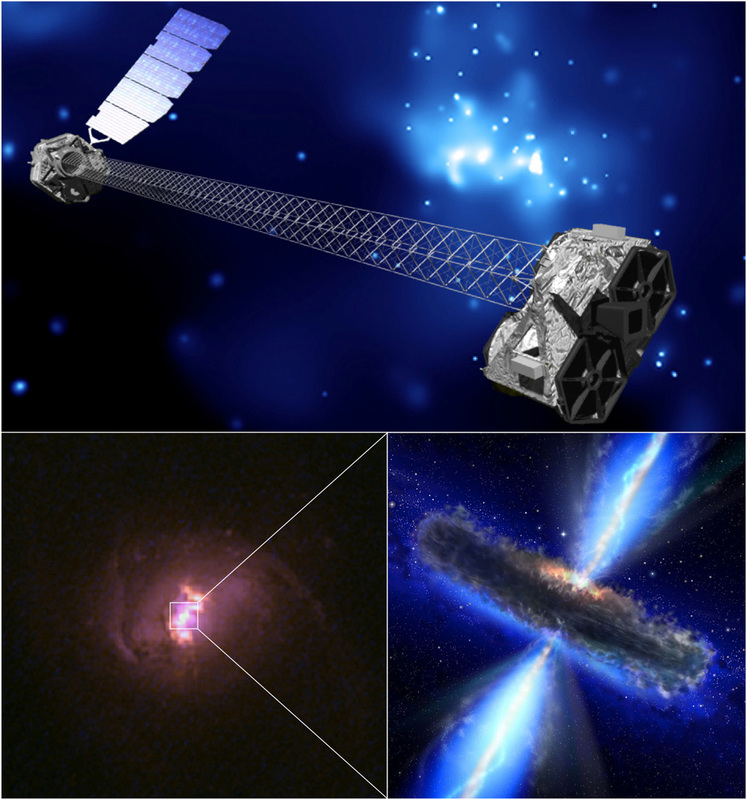 Five supermassive black holes were detected feasting on surrounding material and emitted significant amounts of high energy X-rays radiation into space. For a long time we have known about supermassive black holes that are not obscured by dust and gas, but we suspected that many more were hidden from our view. Said George Lansbury ~ lead author of the new study. Thanks to NuSTAR for the first time we have been able to clearly see these hidden monsters that are predicted to be there, but have previously been elusive because of their ‘buried’ state. Although we have only detected five of these hidden supermassive black holes, when we extrapolate our results across the whole Universe then the predicted numbers are huge and in agreement with what we would expect to see. High-energy X-rays are more penetrating than low-energy X-rays, so we can see deeper into the gas burying the black holes. Said co-author Dr. Daniel Stern. NuSTAR allows us to see how big the hidden monsters are and is helping us learn why only some black holes appear obscured. The research, led by astronomers at Durham University, UK, was presented at the National Astronomy Meeting in Wales on Monday and has been accepted for publication in The Astrophysical Journal. Preprint Paper: High Energy Astrophysical Phenomena ~ arxiv.org. Featured image: © 2011-2015 frenchfox.